With the international recognition of the critical importance of the human factor for the prevention of marine casualties, together with the need to enhance the management of ship operations, the International Safety Management (ISM) Code has been incorporated into the SOLAS Convention. As of 1 July 2002, the ISM Code came into effect for all types of ships 500gt and above, as well as passenger ships including passenger high-speed craft engaged in international voyages, as well as the companies which own or manage them. ClassNK conducts such audits on behalf of flag Administrations and issues the ISM Code certificates under their authority. Data on companies and ship certifications are entered and published in the Register of Company and Ship Safety Management Systems of the Society. 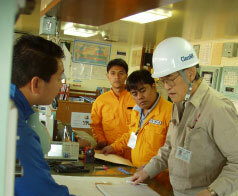 ClassNK offers services for the above audits and certifications under PrimeManagement. 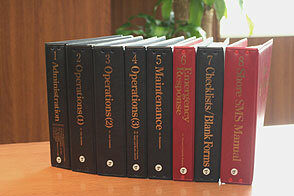 SMS audits are carried out by a network of highly trained and experienced ClassNK professional auditors. This network spans every major port both in Japan and overseas in order to be ever ready to provide audit services at any major port in the world. "Cases of PSC inspection including detainable deficiency or ISM related deficiency " has moved to "Port State Control" Page.